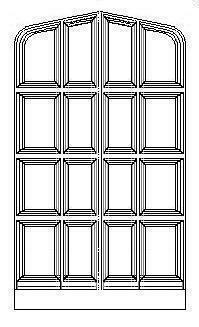 Tudor Panel Half-Light Oak Door We make classic Tudor doors from high quality woods (oak, mahogany) that were inspired by English Manor and Castle works. 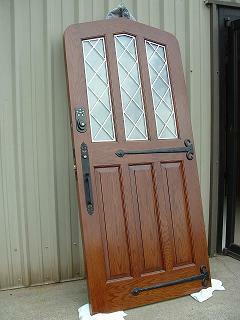 Our doors can be made to almost size and thickness. 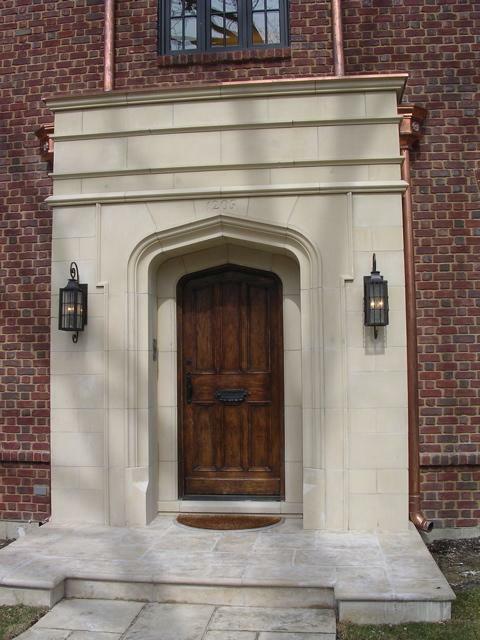 Our most classic door item is a plank door that looks ideal on Tudor architecture. 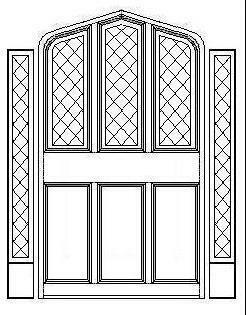 We can also add window(s) to most any Manor door to provide wonderful light and beautiful leaded glass into your home. 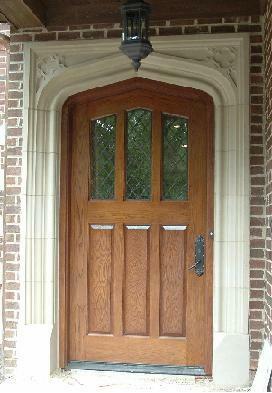 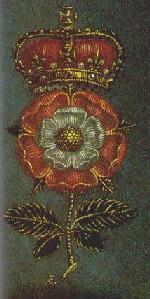 Be sure to check our line of strap hinges that look best on the English Manor doors. 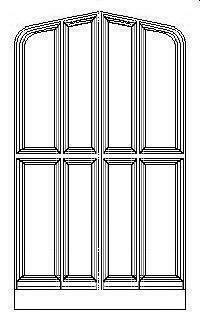 Also check our Gothic door surrounds that were designed to work with our doors. 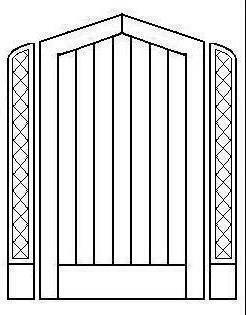 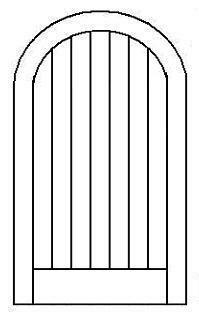 Note: The doors shown below can also be built rectangular - without the gothic arch. 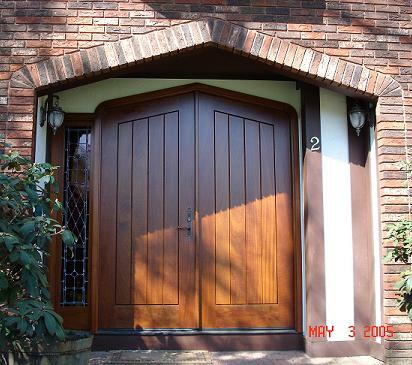 These doors are heavy and will last a lifetime! 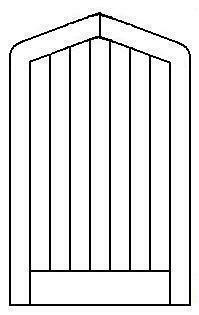 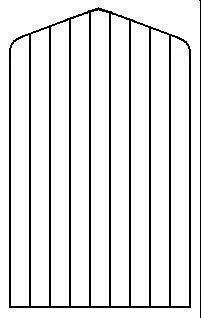 Specify height, thickness, width, jamb depth and wood type. 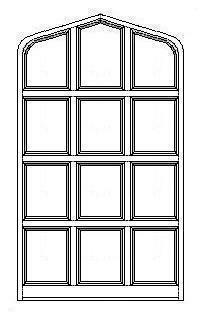 Options: windows, finish, strap hinges and door studs. 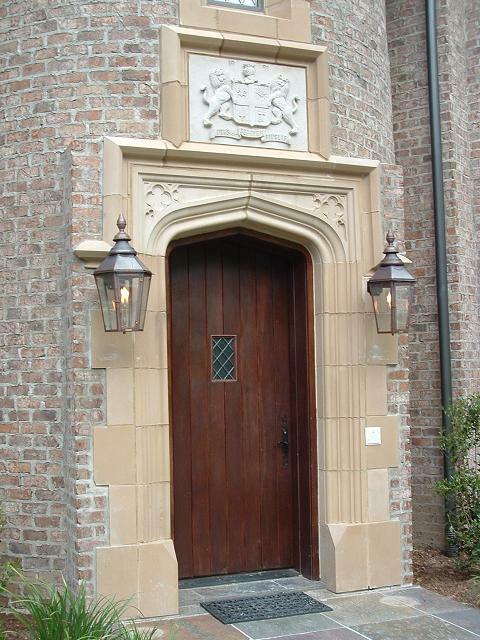 Specify height, thickness,width, jamb depth and wood type. 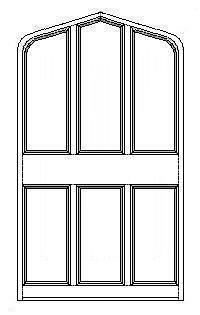 Options: windows, finish,strap hinges and door studs.